3.2 Books - Digital or Paper? EQ: How has the evolution of technology impacted how we now teach and learn? Warm Up: Vote - Which internet service provider was the biggest in 1996? Then, create a graphic organizer for today by looking over this agenda page. Notice the big headings - PAST, PRESENT, and FUTURE. You may also want to focus on a few of the subtopics under each one. Use your graphic organizer to take notes. If you'd like, you may also create a google doc and share it with a few partners to take some group notes. Enter some headings into the Google Doc to complete your GO. 1984: Apple introduces Graphic User Interface (GUI) with Macintosh and Apple IIe. Apple is king until mid 1990s when Microsoft releases Windows 95 & Windows 98. 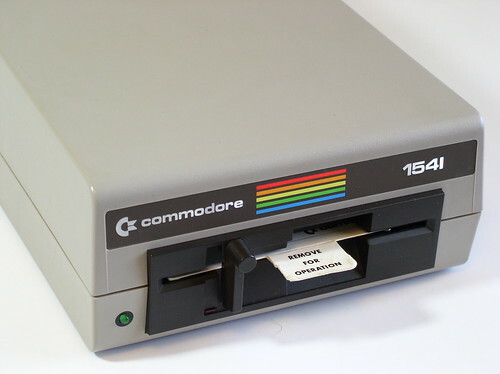 Stand alone games such as Oregon Trail and Where in the World is Carmen Sandiego ruled. Learn about File Types and how to convert between them! Here's how to rename a bunch of files all at once! Review how to use Novell NetStorage to access your files from home. You can try this by logging in as "Workstation Only"
ADVANCED: Try out Dropbox! First , learn about what it is. Make sure to install it ONLY on YOUR laptop, and choose custom install and install it to your desktop. DON'T USE YOUR G-DRIVE! Finally, once your hooked on dropbox, try sharing folders with each other and using Dropitome to collect student work! Discuss some ways you can organize files on your computer. How do you organize your teaching files? What were some ways technology impacted your life in the late 1980's and early 1990's? Discuss something you just learned that you didn't know before? People mainly used their computers to run software programs that were installed on their computer. At work and school, office software became the most used software on computers. By 1995, Microsoft Office Word vs Corel WordPerfect (QuattroPro, Presentations) vs Apple's ClarisWorks/AppleWorks were at the peak of battling it out to become the standard office productivity software. AppleWorks was discontinued in 2004, and Apple released a new suite called iWork in 2005 to try to compete with Microsoft Office. Check out Office 2010 Templates and copyright friendly Clipart - esp. the "find similar" feature - neat! When students use this site, they should cite "Image from Office.com"
ADVANCED: Learn about PivotTables in Excel! You can download a sample file from page 7 of this tutorial. ADVANCED: Check out Google Cloud Connect if your a big user of SW Google Docs! Name a few online resources to help you learn how to use Office 2010? Describe the levels of organization of the new ribbon interface. Describe a few of the new features of Office 2010. How is a pivot table different than a graph (chart) in excel? 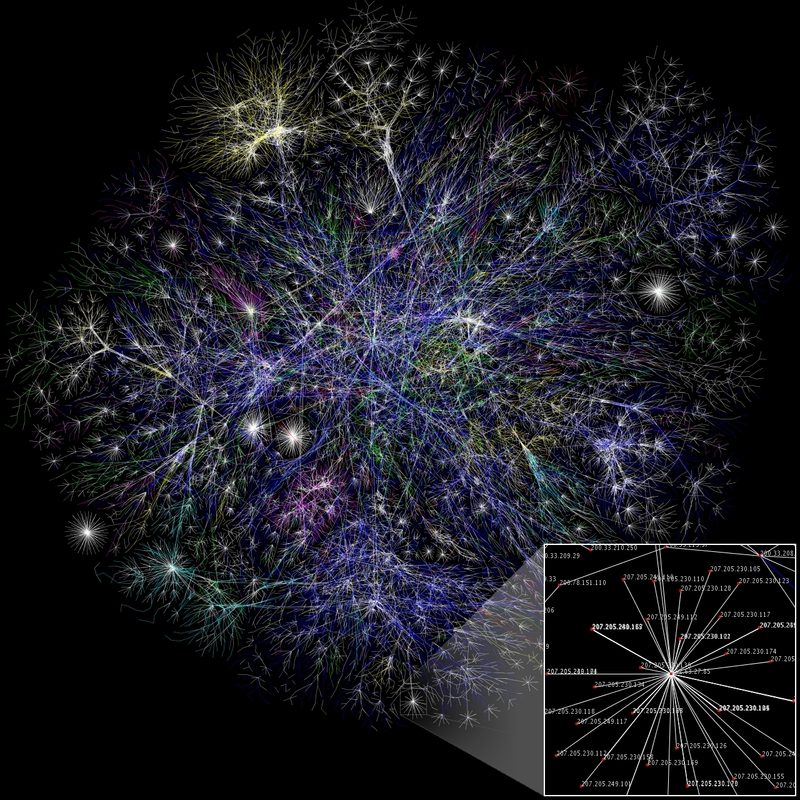 In 1991, the WWW network was developed and released by CERN. In 1992, the term "surfing the web" is coined. In 1994, White House web site goes online, Bill Clinton becomes the first president with an email address, and Pizza Hut has the first pizza ordered over the internet. In 1994, we started hooking our computers up to this new Internet using dial up subscription services, called ISPs (Internet Service Providers) such as America Online, CompuServe, and Prodigy, of which AOL was most popular. By 1998, the masses really started connecting to the Internet, and a browser war broke out between Netscape and Internet Explorer. Once on the Internet, we visited web pages built by folks who had to have some technical knowledge of HTML and FTP. Looking back, the other popular thing to do online at the time was to visit chatrooms, which would foreshadow the social media technologies like Facebook and Twitter that are so popular now. WebQuests blending project based learning principles and the Internet where the big trend in Internet use in schools. Learn more about Web Browsers, Compare them, and then add some bookmark buttons to the bookmark toolbar and helpful Add Ons such as screengrab or Cleaner YouTube to the Firefox browser we use here at school. Set up Firefox Sync so you can access your bookmarks between home and school computers. You can even sync to your mobile device. EXTENSION TO WEB 2.0: Take it to the next level and explore a social bookmark site - Diigo. Explore our TIEnet (Tech Coaches of York County) or Diigo in Education group to find helpful websites for your class this fall. If you start to use Diigo, install the toolbar for your browser - it makes Diigo MUCH easier to use! WebQuest - Review what WebQuests are and Search for some you may be able to use or "borrow" from this fall. EXTENSION TO PRESENT: Learn how to search Twitter to find information about a topic - great way to learn and benefit from Twitter before "tweeting" yourself. Compare and contrast the elements of WebQuests and Project Based Learning. Share a website you found and how you plan to use it in your class this fall. With the launch of the iPod in 2001, Apple began the process of turning itself around as a technology company. Soon, pod casting made sharing audio and video on the web possible - and students and adults loved having anytime/anywhere access to digital content stored on a small, handheld device. The Internet was also going through a multimedia revolution. Websites that promoted user interaction, sharing of content, and social interaction became increasingly popular. New web technologies allowed people to create or contribute to websites with little to no technical knowledge of HTML code. Suddenly, teachers and students had any person in the World as a potential resource and audience. Wikis, blogs, YouTube, Flickr, and Google Docs are two types of websites that epitomize the concept of web 2.0 and became hot buzz words in education. Explore iTunesU to see some of the great free educational content available. You can also browse the podcasts in iTunes to find programs on your favorite topics. You will need to install iTunes first. Podcasts, like blogs, use RSS so that you automatically get latest content. Watch the video about RSS to learn more about it. Explore Flickr to find some great pictures to use during your teaching. Read about copyright and citing your pictures you use in your classroom so you can be a good example for your students. Describe the following RSS technologies using twentieth century examples. I did one for you. Blog Entry: An issue of a magazine or maybe a magazine article This is the information you are interested in reading. What would be the twentieth century examples of a blog and wiki? Explain the criteria you would use to decide when to use a blog, and when to use a wiki. Right now, our most used technology tools at SWSD are SW Google Docs, SW Wikispaces, SW Blogs (Wordpress), Office 2010, Discovery Streaming, and Turning Point. We currently block Facebook and Twitter. Twitter has really become a popular tool for people to share what is going on at the moment. For example, check out the Ravens, Eagles, and Steelers Twitter pages to see what is happening with your favorite team RIGHT NOW. Reading blogs is another great way to keep up-to-date on what is happening with these various technologies. Often, you hear about or get a link to the "headline", then visit the blog to get the details. This is like Google Docs, except the "cloud" is on our server, so SWSD is comfortable using for sensitive data. More to come on the "cloud"
Discuss a new feature you are excited about using this year. How do you plan to use it? How do you see My Big Campus impacting your classroom this year? Books - Digital or Paper? The "cloud" refers to web based programs, files storage, etc. Click here to learn more. The cloud has really been made possible because of our high speed, 24/7 internet connection. The downside to the cloud is if your internet connection drops, your dead in the water, although they are starting to support more "offline" modes again. 2011 Apple Conference - Apple is joining the cloud model. Its real life, enhanced with digital content. Are we turning into cyborgs? Is the machine already controlling us? What is the trend in operating systems usage? Blog: The post computer era? Discuss/Explain a new technology. What is your opinion of how it will impact education? Will Richardson Blog - check bottom entries for thoughts about future education/tech.